The healing of post-abortion trauma can come only when we understand that the pain, which follows an abortion, is the pain experienced when “mother love” is violated. “Mother love” is a mysterious something which is written deep within the heart of woman. “Mother love” is the mysterious something which the aborting woman had not anticipated and found she could not control. Post-abortion grief and trauma underline the force and strength of “mother love”, which ensures that no baby will pass by unnoticed. Abortion is Satan’s desire, not only for revenge against God, but revenge against a creature of God designed in His own image (Gen 1:26). It is Satan’s goal to deprive a child, its mother, father, significant others and society of its natural life in God and its natural destination – heaven. For Satan, destruction of a baby is his attempt at the destruction of hope for that future life in God. However, post-abortion grief and suffering can represent a gift of mercy from God that ensures the child planned and destined by Himself will not be maliciously willed out of existence, but indeed be remembered and loved for an earthly lifetime and into eternity. Post-abortion suffering can be an extraordinary gift because it is a suffering love in lieu of a loss, and in the presence of this suffering a profound grief is witnessed. In this place of great suffering there is found an echo not only of this destruction (abortion) but also of a long ago and distant destruction, which is then followed by an echo of the response to that destruction. The response is the calling into being of a new and holier creation, which has been ministered to by God Himself, who willed Himself to suffer and die, so that the sinner would have his/her sin forgiven. Indeed, through the suffering of the aborted woman (and man) the misery of that primal act in Eden (Gn 3:1-34) now repeated in the abortion clinic (death of innocence and physical death) is turned upside down and changed into a pilgrimage towards God. 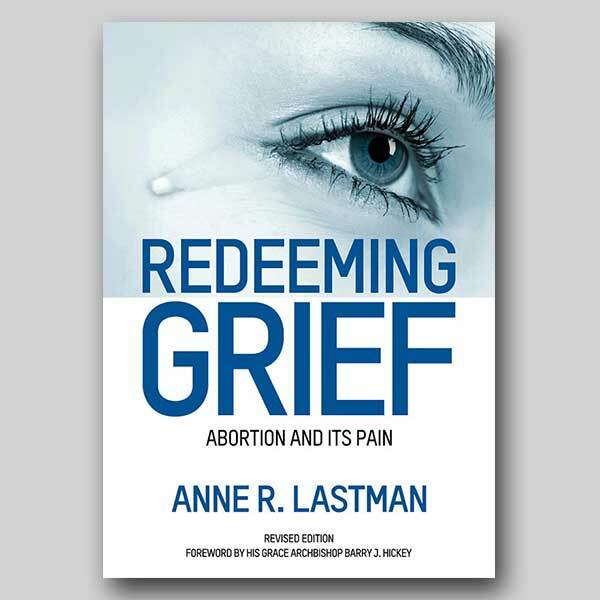 Post-abortion grief is a legitimate type of suffering experienced primarily and precisely because the person belongs to the human family with all its sins and imperfections. It is a penitent suffering which is profound and experienced by the spirit as it travails to achieve metanoia. Yet within this type of suffering is hidden the key to the forgiveness of Jesus Christ. It is at this level where He judges, forgives and heals. Legitimate suffering and penitence produce a fruit of healing precisely because the experience turns one towards understanding of the wrong committed and regret and sorrow over that wrong. Pope John Paul II in Salvifici Doloris (Apostolic Letter On the Christian Meaning of Human Suffering, 1984) states that “joy comes from the discovery of the meaning of suffering.” This could be interpreted as joy being found in the totality of suffering which is abortion. But such an understanding would be to misinterpret the Holy Father’s words, or to invest into this act of violence a value unworthy of it. The suffering which follows abortion is not, of itself, redemptive, healing or of value. However, recognised rightly, accepted willingly and experienced and expressed with graciousness, even this type of suffering can bring with it a moment of divine grace leading to conversion. Suffering acquires its final meaning for humanity from God, with its ultimate meaning translated for us by God, in the story of the life and death of Jesus Christ. In this response, we can come to truly understand that the greatest revelation of God took place in the setting of the deepest darkness and most grotesque of suffering and human failure – the Cross. The origin of suffering is not divine; however, the response to it is, and because this is so, a woman (who has aborted) turning towards God in an attitude of humility can be forgiven because through the suffering of Jesus Christ the sin of abortion can be forgiven, followed by the transformation and re-establishment of the woman within the divine life of God. A particular grace is evident when the sinner (once repentant and forgiven) is encountered. This individual is now marked with a sign of humility, grace and protection and indeed we know that those forgiven can be called to mediate for and on behalf of those still remaining in darkness (Lk 22:32). The forgiveness and conversion of the post-abortive woman is a visible sign of Mercy. She exudes a grace that is not cheap or easily gained but resplendent. She is the woman who has experienced the healing and forgiving power of God, in and through Jesus Christ. Sorrowing in remembrance, but sanctifying the future through living a life focused on goodness, is the pinnacle of repentance and forgiveness. The memory of the abortion remains salvific because it deepens and continues to deepen the understanding of the individual’s personal history, action and salvation. Anne Lastman (BA, Dip Ed, MEd, MA (Theol)) is the founder of Victims of Abortion Trauma Counselling and Information Services. Anne can be contacted at PO Box 6094, Vermont South, Vic 3133, tel/fax (03) 98877669 or 0408 175 033.